I would like to thank you all for your presence today as we make certain announcements with regard to the implementation of the new immigration regulations which came into effect on May 26th of this year. The new immigration regulations were introduced to improve our ability to manage immigration effectively, in a way which balances South Africa’s openness to legitimate travellers, as well as developmental and security imperatives. Most elements of the new regulation are working well. This is despite some asymmetries of information which have further compounded anxiety and inertia with regard to particular aspects of the new regulations. Many improvements have been effected as a result of the regulations. Immigrants to South Africa are enjoying high quality service and improved turnaround times at our Visa Facilitation Centres. Skilled professionals and businesspeople are enjoying our improved visa regime, including the ability to apply for a critical skills visa before even finding a job, and the consideration of their families as a unit. Since the announcement of the new regulations, we have consistently maintained that we welcome constructive engagement from stakeholders on their implementation. We thank those stakeholders who have engaged us substantively and constructively. The information acquired has empowered the department to serve South Africans and foreign visitors and our various stakeholders more efficiently. 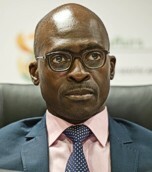 Subsequent to our meeting with the Minister of Tourism last month, Mr. Derek Hanekom, we have also met with tourism and aviation industry stakeholders including representatives from the IATA, ASATA the South African Tourism Council, and announced the formation of a joint task team between the Department and the industry as a vehicle for on-going engagement. We are enormously pleased with the establishment of the task team, and trust that its representatives will bring invaluable perspectives and information on the tourism and travel sector, and help us improve communication with their clients and the sector as a whole. We have further continued to engage with the representatives of the film industry and soccer fraternity. The different stakeholders have drawn our attention to the challenges relating to the new requirements for travelling children, which come into effect on October 1st, 2014, which were instituted to ensure the safety of children, in line with the Children’s Act of 2005 and our own international obligations. In particular, the stakeholders have highlighted challenges regarding the requirement that all children entering or exiting South Africa be in possession of a passport, an Unabridged Birth Certificate, and written permission from both parents or guardians of the child, authorizing that child’s travel. While the requirement that all children possess a passport has been implemented successfully, challenges have been raised regarding the requirements for the Unabridged Birth Certificate and written permission. Stakeholders have alerted us to two main challenges: firstly, of ensuring accurate and timely communication to missions abroad, travel operators, and prospective travellers around the world about the new requirements; and secondly, that parents and those authorized to travel with children have time to obtain the required documentation in time for their travel plans. It was put to the Department, that while the new regulations are accepted as necessary and are fully supported, due to these challenges mentioned above, and particularly in light of the upcoming peak travel periods for families – that is, December / January for the festive season and April for Easter – a postponement would greatly assist travellers and the sectors as a whole. The Department has taken this input into consideration, along with our obligation to ensure the safety of children entering and exiting the country. Having taken all of this into account, we have granted a postponement of these two particular requirements – the Unabridged Birth Certificate and written permission to June 1st 2015. During this postponement, I have directed the DDG: Immigration Services, Mr. Jackie McKay, to work intensively with industry stakeholders to ensure accurate information is available to all prospective travellers accompanying children all around the world, and allow those travellers time to gather the necessary documents. While the requirements will be the same for South Africans and citizens of other countries, for foreigners’ purposes, an Unabridged Birth Certificate is merely a birth certificate from the responsible authority in their country which lists the particulars of the child’s parents. In the instance where this information is contained on the child’s passport, this too shall be acceptable. To ensure that the security of children is not undermined during this period, our officials will be on heightened alert, and will use other means, including additional screening, vetting and interviews as necessary, to ensure all travelling children are authorized to do so. It is important to note that the implementation of the regulations should not affect South African children born from 3 March 2013 onwards, as the Department began issuing Unabridged Birth Certificates, on-the-spot, for all children whose births were registered from that date. Therefore the population of children / minors that will be affected by the implementation of these regulations would be children born between 1996 and February 2013. We have established that approximately 17 million children were born during this period. Out of this population, approximately 1.1 million have been issued with valid SA passports. The postponement, as well as today’s statement, is aimed at encouraging citizens to apply well in advance and obtain the required Unabridged Birth Certificates for the minors / children they intend traveling with. Furthermore, between now and the implementation date of the regulation, citizens who apply for passports in respect of minors / children will be encouraged by front line officials to apply for Unabridged Birth Certificates for such minors. In closing, we encourage you to anticipate further regulatory changes from the Department of Home Affairs, in particular around the Births and Deaths Registration Act. We envision amending the act to implement more stringent processes for the late registration of births, which we intend to end after December 2015. Thereafter the early registration of birth, immediately at the hospital or within 30 days, will be the only way into the National Population Register.